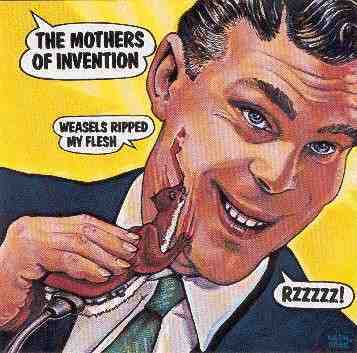 Illustrator Neon Park did the cover for the Mothers Of Invention: "Weasels Ripped My Flesh". 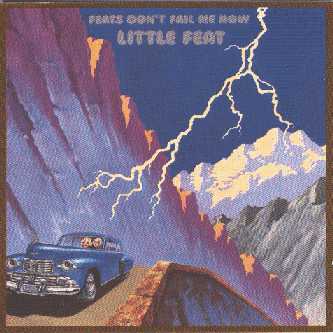 Later, he also did artwork for Little Feat, a.o. NEON PARK was working as a poster artist with the Family Dog, a San Francisco design group, when he got a call from Frank Zappa asking him to come down to Los Angeles. 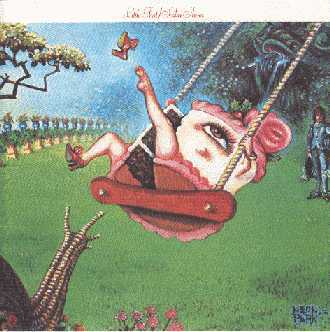 Zappa had seen the drawings Park had done for a group called Dancing Food and wanted him to paint the jacket for the next Mothers of Invention record. At their meeting, Zappa showed Park a magazine cover. "It was one of those men's magazines like *Saga*," says Park. "The cover story was *Weasels Ripped My Flesh* and it was the adventure of a guy, naked to the waist, who was in water. The water was swarming with weasels, and they were all kind of climbing on him and biting him. So Frank said, `This is it. What can you do that's worse than this?' And the rest is history." Park's painting, for which he was paid $250, almost didn't see the light of day. Zappa butted heads with Warner Bros. over its suitability for release. "Evidently," says Park, "there was quite a confrontation that occurred over this cover. It wasn't up to their standards." Even after Warner Bros. finally consented to use it, there were problems. "The printer was greatly offended,"
says Park. "The girl who worked for him, his assistant, she wouldn't touch the painting. She wouldn't pick it up with her hands." Zappa and Park, meanwhile were tickled silly by the brouhaha: "I was greatly amused by the cover, and so was Frank," says Park. I mean, we giggled alot." Park still can't see what all the fuss was about. 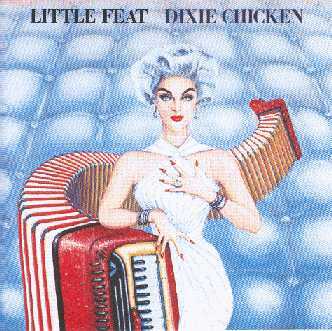 "It was an infamous cover," he says, "although by today's standards, it's pretty tame. It's not like eating liver in Milwaukee." The Neon Park Art Book "Over The Rainbow" will be selling for $29.95. All his album covers will be in the book, plus pinup ducks, and his last series of work, and more. It will be out just in time for his show, which opens November 3rd, but the release date isn't until December 3rd. The whole exhibit will be presented online and the book will be also available online. 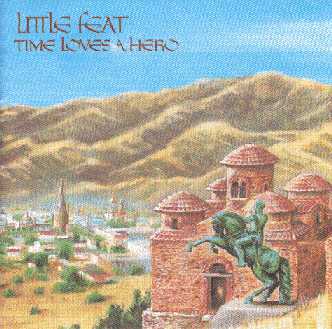 Please tell all the Little Feat fans (the gallery owner is a HUGE fan himself). The gallery is located on the North side of Hollywood Boulevard, between Vermont and Hillhurst Avenues. The front is painted with wild patterns and very bright colors, with 2 big eyes on top, and there's a flashing NEON sign that says "Wacko" on the corner of the building. 1990 Polka Comes to Your Haus! 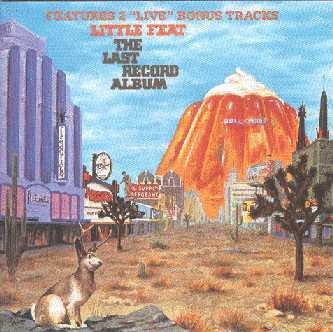 the mothers of invention "weasels ripped my flesh"
little feat "feats don't fail me now"
little feat "the last record album"
little feat "time loves a hero"
little feat "waiting for columbus"